Viking Books for Young Readers, 9780670785483, 496pp. 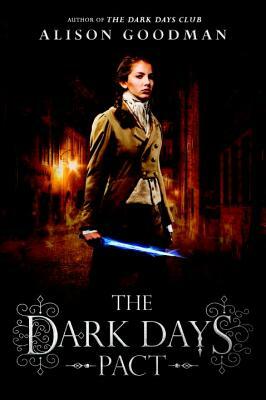 Sequel to New York Times bestselling author Alison Goodman's acclaimed The Dark Days Club—a smashing combination of Buffy and Jane Austen! Alison Goodman is the author of the internationally bestselling and award-winning Eon/Eon duology, as well as the YA science fiction thriller Singing the Dogstar Blues, and an adult novel, A New Kind of Death (originally titled Killing the Rabbit). She was a D.J. O'Hearn Memorial Fellow at Melbourne University, holds a Master of Arts, and teaches creative writing at the postgraduate level. She is on Twitter @AlisonGoodman and keeps a constantly-growing Regency treasure trove at www.pinterest.com/alisongoodman. Alison Goodman and her husband live in Victoria, Australia, with their irrepressible terrier, Xander.